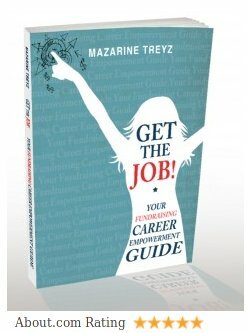 Mazarine Treyz helps nonprofits grow better leaders. She also wrote The Wild Woman’s Guide to Social Media, given a 5 star rating. Her latest book, Get the Job! Your Fundraising Career Empowerment Guide, was also given a 5 star review. Have people gotten results from her trainings and workshops? YES! Here are some results. 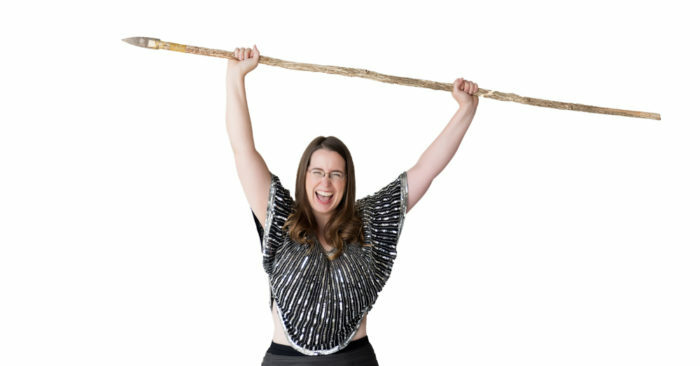 How did I become the Wild Woman of Fundraising anyway? After a 10-day Vipassana meditation retreat, I realized I wanted to help people, but I just wasn’t sure how. After working in a baby orphanage in Jakarta, Indonesia, I came back with a burning desire to learn more about fundraising. I took some classes and then! I co-founded a nonprofit on the south shore of Boston, and after moving to the west coast, I worked in small fundraising offices over the course of seven years. I’ve done everything from be thrown into roles with no plan, no training and no support, to helping oversee wildly successful events, run online campaigns 3x over goal, write high-performing appeal letters, and all with a grin! One thing I noticed in all of the years I was working in fundraising full time for nonprofits was that there was this terrible disposable culture of fundraisers. Often each nonprofit I worked at had 4 development staff in 4 years. This is a hidden cost that makes our nonprofits ineffective. According to Burk’s Donor Centered Leadership research, we lose $200,000 every time a fundraiser leaves. I wanted to change this. Because people need to speak their truth but first they have to KNOW their truth- And that’s the double whammy of my fundraising education and wild career empowerment. “Our lives begin to end on the day we become silent about the things that matter” -Martin Luther King, Jr.
Wild means speaking your truth, even if your voice shakes. I decided that I had to speak my truth, and Wild Woman Fundraising was born. So why did you write a book? 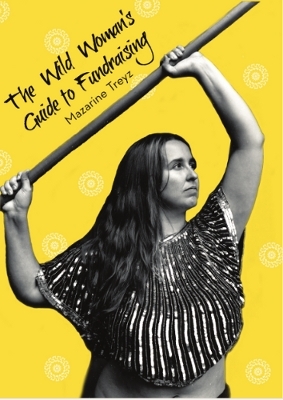 I knew a lot of people started out knowing nothing about fundraising, so in 2010 I wrote a book called The Wild Woman’s Guide to Fundraising, and put in everything I had learned in my years as a Development Assistant, Development Associate, Development Officer and Development Director. It’s a primer on everything you might need to know in a small fundraising shop. Then I decided that wasn’t good enough, and I wrote 12 e-courses on fundraising, including: Fundraising Planning, Monthly Giving, Advanced Annual Reports for Fundraising, Nonprofit E-Newsletters, Year End Appeals, How to Get Sponsorships, Your Ultimate Guide to Online Fundraising and Crowdfunding, Your Grants Breakthrough, Your Ultimate Guide to Finding New Donors and of course, Your Ultimate Guide to Keeping Your Donors, How to Get Your Dream Fundraising Job, and more. Then I decided I needed to do even more, and I wrote Get the Job! Your Fundraising Career Empowerment Guide. This got a high rating and I had a tremendous response from readers. But..
Why not make a place to help people empower themselves in their fundraising and nonprofit careers? Well, in 2015 I did just that! I created the online Fundraising Career Conference. I partnered with the Young Nonprofit Professionals Network, Charity Village, and Bloomerang on this event. From 2015 to 2018 over 1,000 people have attended this conference (and we’ve gotten lots of CFRE credits too!). I knew I had to reach the nonprofit bosses as well, so in 2016 I created the online Nonprofit Leadership Summit, to help us teach and keep our excellent fundraisers for good! We have had over 200 attendees of this summit in the last 3 years. Now we’ve created the Name It! Podcast. Check it out here!